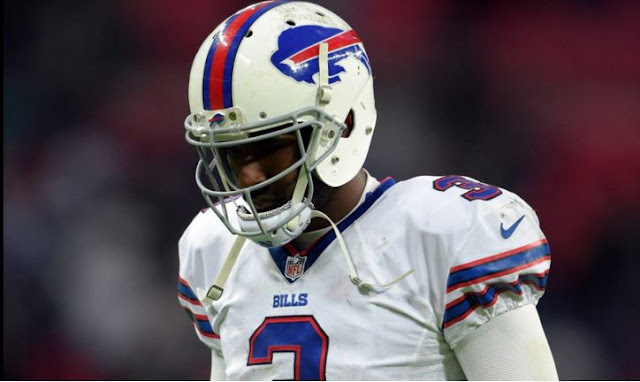 EJ Manuel could be known for worse, like being one of the biggest quarterback bust in NFL history. Manuel is now the biggest international loser, and I'm not talking about weight. After the Buffalo Bills' 34-31 loss to the Jacksonville Jaguars at London’s Wembley Stadium, Manuel became the first NFL quarterback to lose a game in three different countries, according to NESN. Manuel’s first international loss came on Dec. 1, 2013, when the Bills lost to the Atlanta Falcons 34-31 in overtime at Rogers Centre as part of Buffalo’s Toronto series. Include his eight losses in America and the recent one in England, and Manuel has completed the historic feat in just 16 games.